Medical Malpractice is negligence (proving below standard level of care) by a healthcare provider leading to injury or death of a patient. In general, if a healthcare provider in Florida fails to act where others with similar training would have, they may be liable for any resulting damages. Florida statute Section 766.102 defines the standard of care as the level of care, skill and treatment that is recognized as acceptable and appropriate by reasonably prudent similar healthcare providers under similar circumstances. Medical Malpractice is a complex legal matter that generally requires an attorney’s assessment. If you or a loved one is a victim of medical malpractice, you should contact a medical malpractice attorney as soon as possible because the statue of limitation in Florida for medical malpractice lawsuits is only two years. The statue of limitation is a time set by the law that creates a deadline for filing a lawsuit. The Florida statue of limitation for medical malpractice is two years from when the patient, family member, guardian either knew or should have known with reasonable diligence that the injury has occurred and there is a reasonable possibility that the injury was caused my medical malpractice. When a malpractice injury occurs, malpractice attorneys can file suit against a doctor, nurse, hospital, or healthcare provider who was negligent in causing you harm. It is crucial that victims of medical malpractice speak with a veteran malpractice attorney because healthcare professionals will more than likely than not have defended against malpractice claims before. At Williams, Ristoff & Proper, we have handled medical malpractice lawsuits and helped our clients get the compensation they are entitled to. 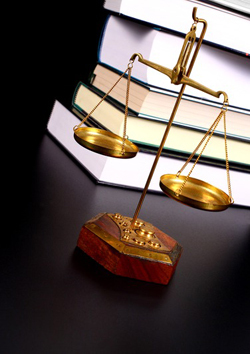 Our legal team will evaluate your case and will always provide you with our honest opinion. We will advocate on your behalf and communicate every step of the process with you. Call today and speak with an experienced New Port Richey injury attorney regading your medical malpractice case. We offer free initial consultation and work on a contingent fee basis, which means there are no fees or costs unless we win.